who gave me the heads-up on Lauren's Latest, the blog where you'll find this recipe. 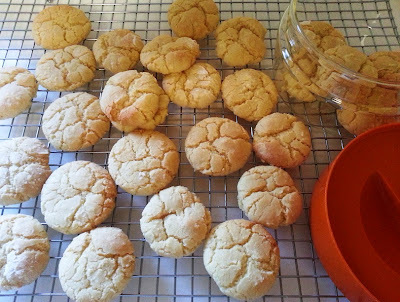 Zara actually suggested I whip up a batch of Lauren's Lemon Glazed Lemon Cookies, but because she mentioned they were a bit messy to make (and I can't be dealing with extra mess at the mo) I made Lemon Crinkles instead. And OMG! I'm glad I did because they are a lemony revelation! 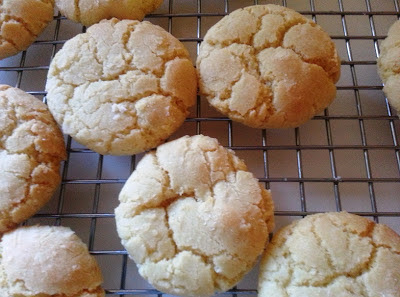 Lemon Crinkles - easy to bake and very easy to eat! pop up to the shops and buy one - these are so worth it, and a single lonely little lemon is all you'll need to transport your tastebuds to lemon heaven - unless you decide to double the recipe(?) and I would if I were you. Lemon Crinkles up top, Anthony's beloved Orange Slices (yuk!) down below - exactly where they belong, in my opinion! Which biccies do you reckon were eaten demolished first? 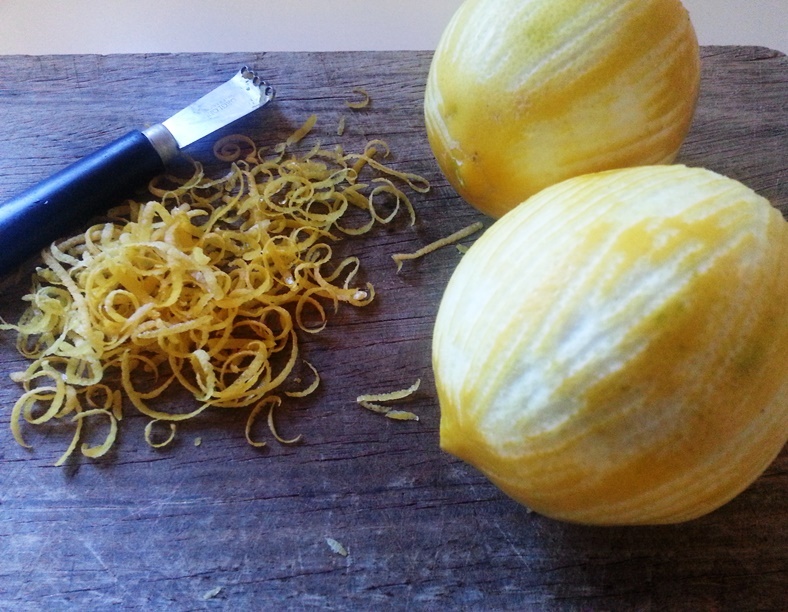 Thanks to everyone who sent Lemon recipes my way, I really appreciate it. 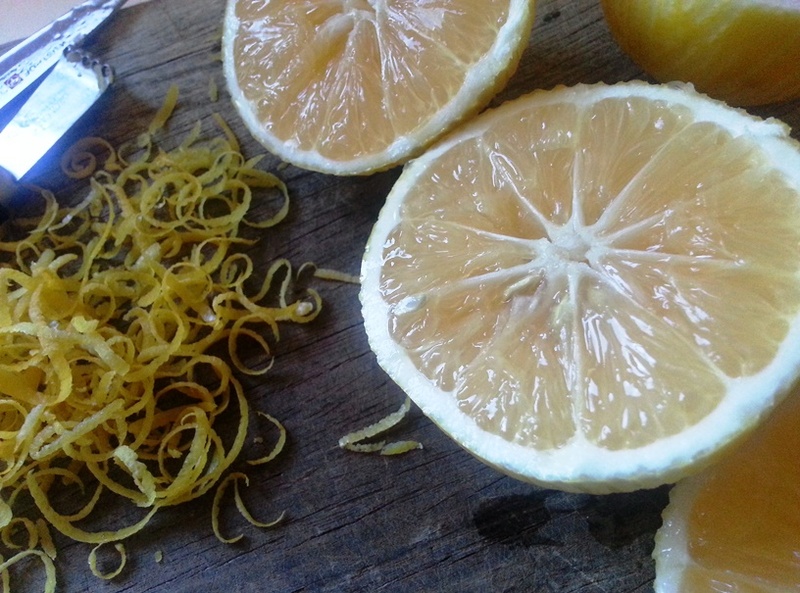 This weekend I am sweetening up my trial batch of Limoncello, it's smelling a bit ummm, shall we say...like lemony paint stripper at the moment (even though I didn't skimp on the Vodka and used the good stuff). Stay tuned. p.s. My blog archives seem to have disappeared...here are the links to my posts on Abigail Ahern's Style Surgery if you're looking for them...just click here and here. Update: oops! My famous blog designer has popped them at the bottom of my blog. Oh, and please follow my blog via bloglovin if you haven't already. 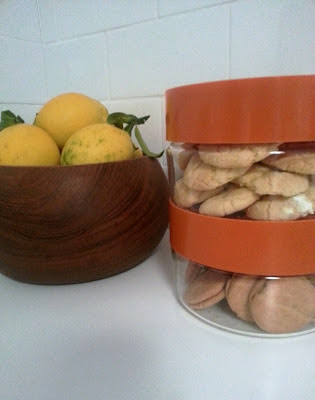 Will have to get my hands on some more lemons and get baking- maybe a batch of both this time. Oh Kylie, it is such a good thing we're not neighbours, I'd be eating you out of house and home - these look like Jem-bait, they really do! Those cookies sound so good. I have a feeling they would be a big hit with Grandsons #1 and #2. I'll have to whip them up a batch. I had to shield my eyes from the naked lemons!!! "OIIIIII"
*heheeh* The cookies look yummy I will have to try baking some on a rainy day. My Mom just brought these over. I have the most easy recipe for lemon bars that my son LOVES. And also a good friend of mine. They sort of fight over them. So I have to try these. Thanks! They look delicious. I have to try them. i'll just follow you the old fashioned way, dearie, if you don't mind? and still jealous at all that lemony heaven you seem to be enjoying just outside your door. these cookies i wanna try!